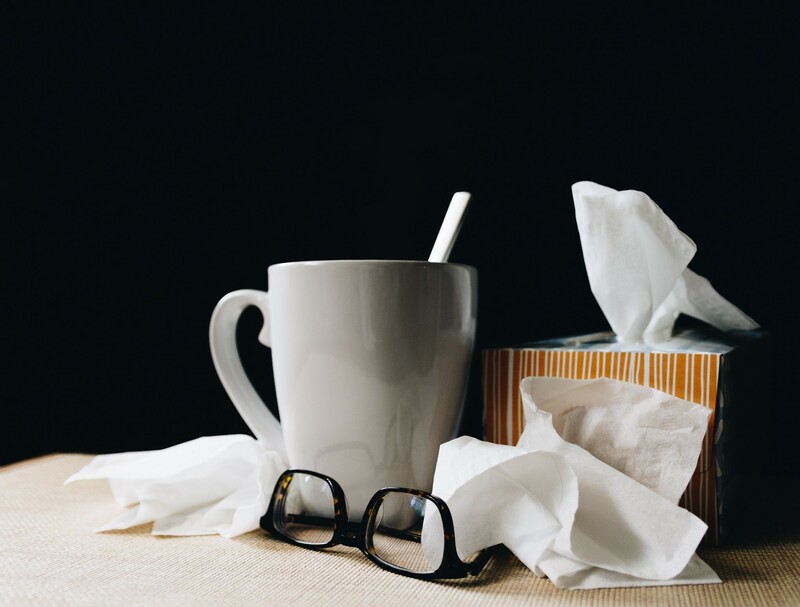 This time of year, we are certainly in the midst of cold and flu season. So what can we do to avoid using up our sick days and keep ourselves healthy? We need to start by providing our bodies with a multitude of vitamins and minerals to support vibrant health. In the days before pharmacies and doctor’s offices, we survived the colder months by boosting our immune systems with foods, herbs and various other remedies. Many of these we can still utilize in modern day by focusing on a diet built around whole foods— not overly processed from boxes and cans, but real, fresh foods the way nature intended. So ditch the processed cookies and crackers and focus on getting more veggies and fruits in your diet along with quality meat, fish and eggs. You can also incorporate fermented foods into your diet like our ancestors did. Before refrigeration, humans needed a way to preserve foods in the winter months when vegetation was scarce. No matter what background or culture you’re from, there is some sort of fermented dish your ancestors often ate in the winter, if not year-round. Fermented foods are a great source of probiotics and prebiotics that contribute to a healthy gut. Believe it or not your gut is your first line of defense for the immune system. With over five pounds of bacteria in your gut alone, it’s imperative to support a healthy microbiome for a strong first defense. When it comes to supplements, free radical scavengers are where it’s at! Free radical scavengers are things like antioxidants. They help protect cells from damage by free radicals (Free radicals are unstable molecules that are made during normal cell metabolism.) Elderberry, oil of oregano, olive leaf and echinacea are power players during the winter months. Elderberry can be taken daily for immune boosting power, but oil of oregano works best if saved for when the immune system is compromised. The core supplements like vitamin D, fish oil, probiotics and a multivitamin/multimineral are great for day-to-day maintenance all year. Taking vitamin D in the winter is beneficial due to our lack of exposure to the sun in the winter months. Vitamin D plays a very critical role in our immune function and may support lessened illness frequency and duration. When shopping for supplements, look for third party certification seals and do a little research on your own. Supplements can have interactions with medications, so it’s always important to ask your pharmacist or doctor about possible interactions. Aside from food and supplements, two other areas we often overlook when considering our immune system are sleep and stress. They are both as essential to our health as the others. Like it or not, no supplement will fix you if you aren’t eating right, sleeping well and managing stress. Having a bedtime routine and avoiding screens at night will help improve sleep quality. Try turning off your phone or placing it on airplane mode. Taking time to exercise a few times a week and keeping stress levels down also play a huge role in our overall health. Getting outside and walking or hitting the treadmill are easy and make a big impact on our wellbeing, both emotionally and physically. If you do get sick, it’s imperative you don’t spread germs to others, go home if possible and send someone else to the store or pharmacy for you. Avoid the elderly, young and immunocompromised as they don’t have the ability to fight infection as reliably as others. Stay safe and healthy this season!